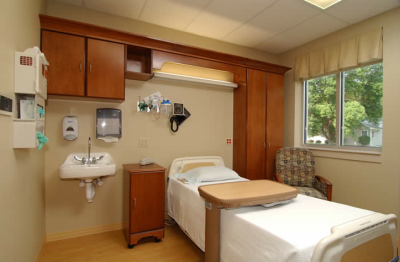 When you have to be admitted to the hospital for treatment, trust Compass Memorial Healthcare to provide quality, compassionate care. Compass Memorial Healthcare is a 25 bed critical access hospital. There are 15 private rooms and 5 semi-private rooms. Each room has its own private bathroom and shower. Each patient has their own flat screen television in the room for their individual viewing choice. There is a large day room that features a 42-inch flat screen television for families to gather and watch movies or eat a meal together. Also available is an outside patio area where families can visit patients and enjoy fresh air and sunshine.